In the beginning, the buildings now accommodating the varied activities and display of the Port Stephens Community Arts Centre Trust were constructed in 1942-43 for a very different purpose. In June 1942 a military aerial inspection was undertaken of the eastern coast seeking sites for training bases. Port Stephens was chosen because it offered good shelter from the Japanese submarine menace and was sparsely populated with less than 200 people who were mainly occupied with professional fishing. Approval was granted by the War Cabinet for the Navy to establish a Naval Training Centre to be named “HMAS Assault”. 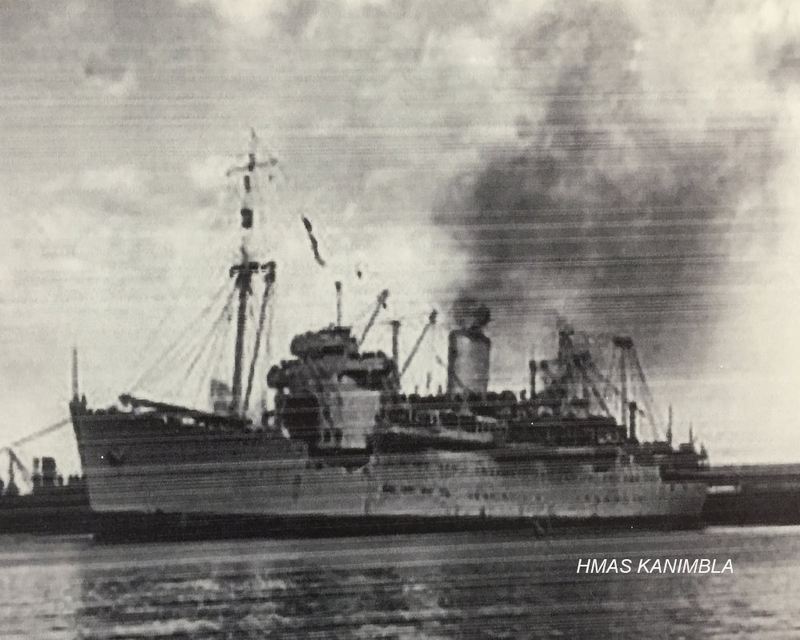 On 3rd September 1942 the HMAS Westralia arrived to serve as accommodation until the establishment ashore was completed. It was during this period that the sick bay (Arts Centre), sister buildings, mess hall and several other buildings were constructed by the Allied Works Council. HMS Assault trained boat crews, beach parties and signal teams. 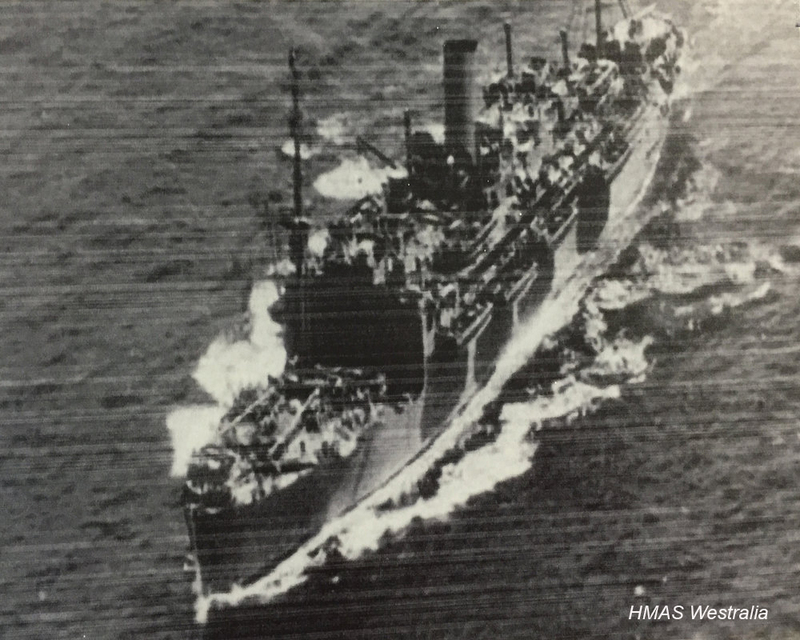 Between September 1942 until October 1943, 100 officers, 100 coxswains, 120 beach Commanders, 453 boat crews, 250 stokers and 40 signalmen were trained by HMAS Assault. In August 1944 it was decided to reduce the training school to care and maintenance only. 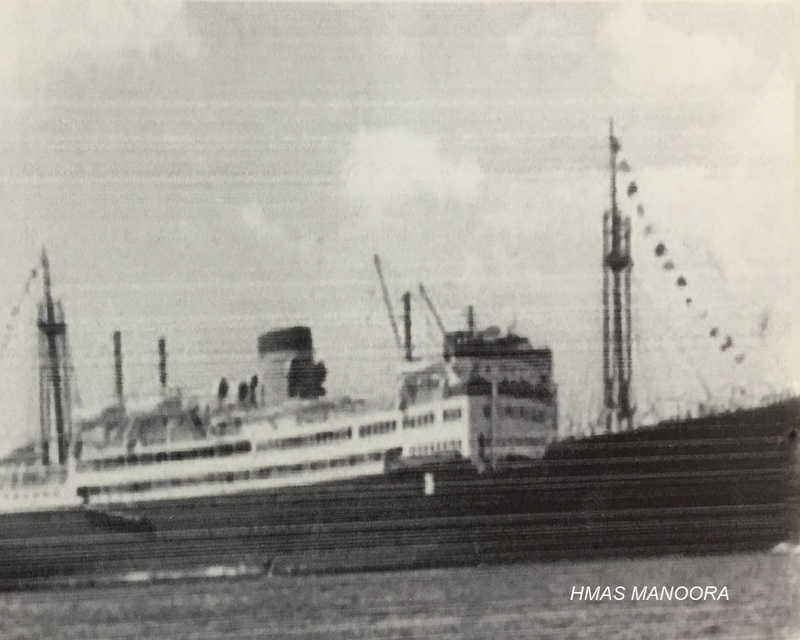 This continued until April 1945 when the depot was paid off and transferred to the British Pacific Fleet. The British Pacific Fleet briefly occupied the base and it became the Royal Marine Commando Depot. In June 1945 the sick bay (Arts Centre) was turned into a small hospital ward of about 10 beds. No further interest was shown until 1949 when it was indicated that the Naval Depot at Port Stephens may be taken over by the Commonwealth Employment Service to house European migrant workers. The first 49 migrants arrived to help set up the hostel. The Nissen huts already here were divided into six rooms and the other buildings accommodated larger families. The sick bay (Arts Centre) was reopened as a hospital and the first baby was born in December 1949. The hostel was closed in mid 1953. 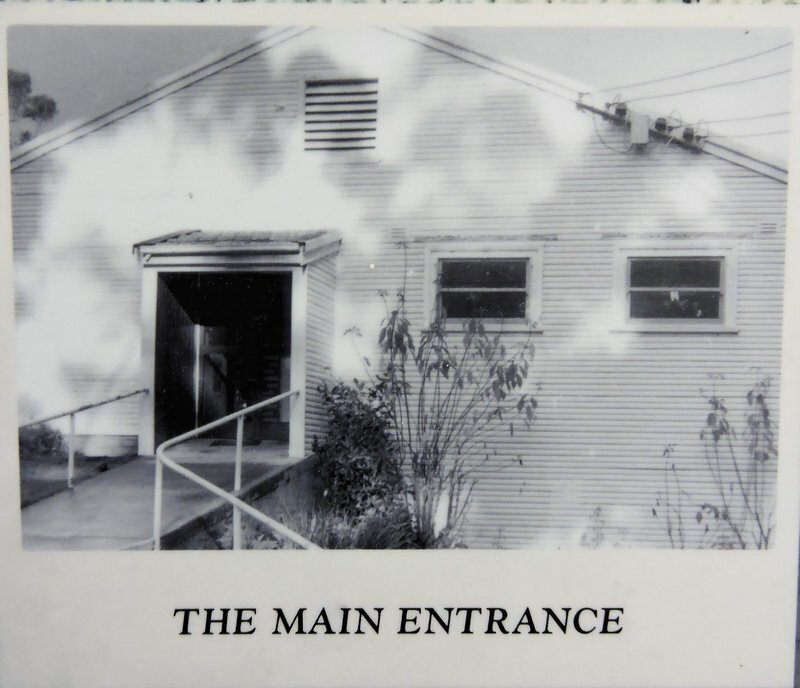 Early in 1953 it became apparent that a hospital was needed for this isolated community and moves were made to obtain this facility but it was not until May 1955 that a licence was granted. In July 1955 the Committee moved in to equip and furnish the buildings. During the time between the migrants vacating the Centre and the Hospital Committee taking possession, the buildings had been badly vandalised. The Hospital began functioning in April 1956 and continued until 1981. The Nissen huts were sold to the public. 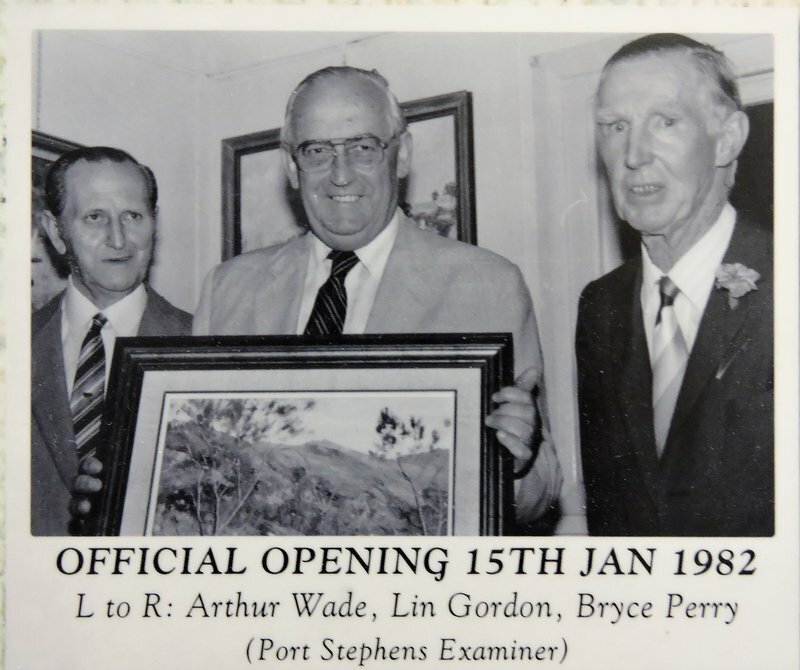 On 22nd April 1981 the “Port Stephens Society of the Arts” was formed and the committee searched for premises. 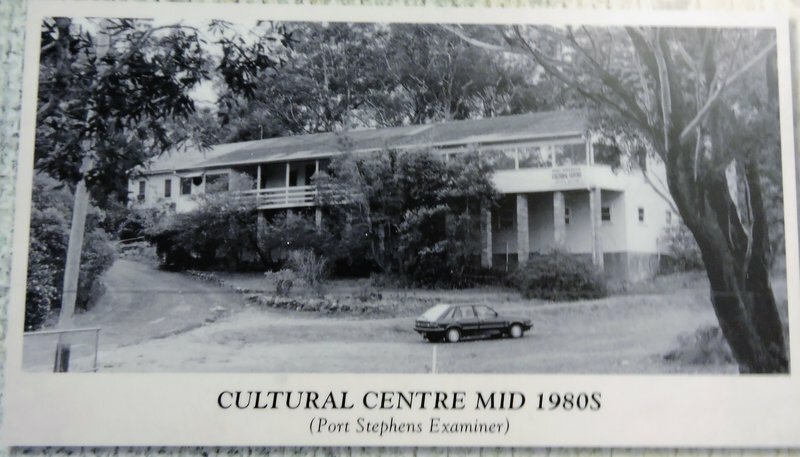 They looked no further than the hospital buildings and on 29th July 1981 the members were informed of the acquisition of the hospital premises, and the name changed to the Port Stephens Cultural Centre. At this time the members of a local pottery group which had been in existence since 1971 joined the group. They were accommodated in the old operating theatre (now the Craft Sales Room). On Monday 10th August 1981 the buildings were officially handed over to the Society of the Arts to be administered as a “Cultural Centre” open to all. Pottery which proved a popular craft soon outgrew its room. In 1983 they moved into the Matron’s Cottage and the “Pottery Rooms” was officially opened in August 1983. Over the ensuing years changes have taken place and improvements carried out, the main gallery expanded, and the kitchen updated. Only one building, the “Hospital” remains. The residence behind it, the old “Pottery” was demolished in 1999 and an extra large shed for the potters was erected further up the hill. Lovely gardens have been established by our volunteers and wheelchair access has also been made available. A large extension was added to the Centre at the end of 2002 for the purpose of catering for various arts & craft groups and also as a special functions area. It includes a small kitchen area as well and has a walk-in storage room. Downstairs the small rooms were transformed into a large craft room and “wet” area. It also has a small kitchen area and bathroom. This can now be reached via an internal staircase. In July 2004 our old asbestos roof was replaced with a new colourbond one. No more leaks! A much needed woodworkers shed was built in 2007 which is adjacent to the Pottery Barn and is used on a daily basis. Major refurbishments were made to the gallery area in 2012 which gave it a more modern look and opened it up. At the back of the Gallery a café is now in operation overlooking the beautiful gardens. At present the café is open to the public on weekends only. It is run by the members on a voluntary basis. Morning teas and light lunches are provided. With continuing improvements and increasing membership the Port Stephens Community Arts Centre is a valuable and very attractive public asset, catering to many flourishing groups in various arts and crafts.